It's official!!! 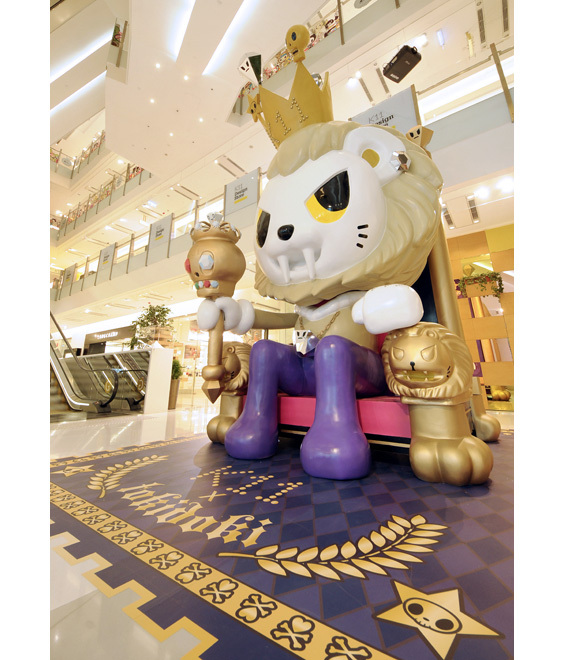 World-renowned Fine Pop Artist Simone Legno Dedicates 5-metre Tailor-made Sculpture Installations ‘Caesar’ to K11 Aficionados of Japanese pop culture must have heard of the Japanese-inspired U.S. brand “tokidoki”. This summer, K11 Art Mall, with the vision of bringing “Art. People. Nature” into harmony, will continue with annual concept of Food Art Festival to organize a series of art programs over a 3-month period. 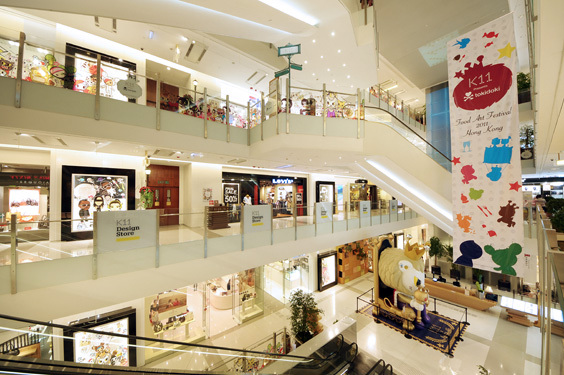 To kick off, there will be tokidoki x K11 Hong Kong First International Art Collaborative Project in July! 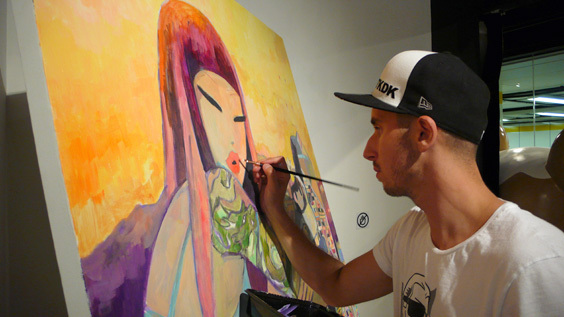 K11 partners for the first time with the internationally renowned fine pop artist Simone Legno this summer. Simone has collaborated with many world-famous fashion gurus such as Karl Lagerfeld and brands such as LeSportsac and Levi’s on various cross-over projects. 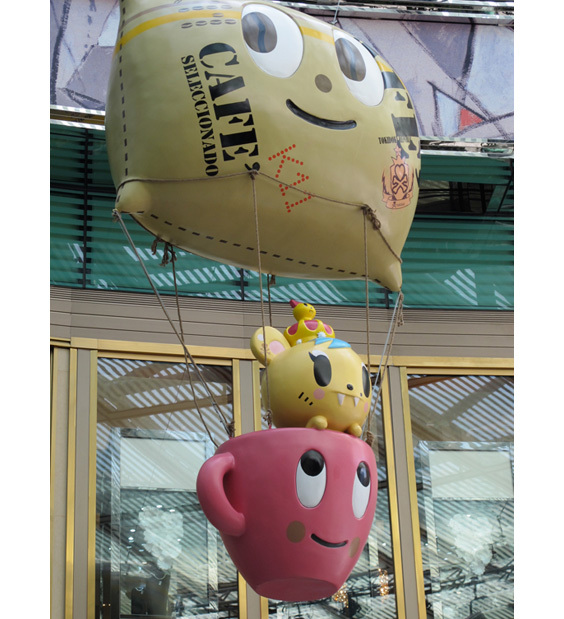 From now on until 30 September 2011, as part of the tokidoki x K11 art project, two 5-meter-tall exclusive & tailor-made sculpture installations will be on display, for the first time, at K11. Together with the Hong Kong edition manuscript drawings to be debuted, this exhibition is definitely a must for fans of figures and illustrations to pay pilgrimage. 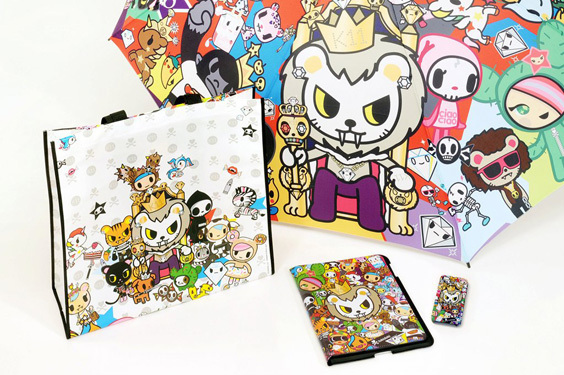 Moreover, Simone has also specially designed a series of worldwide limited-edition collectibles for K11. 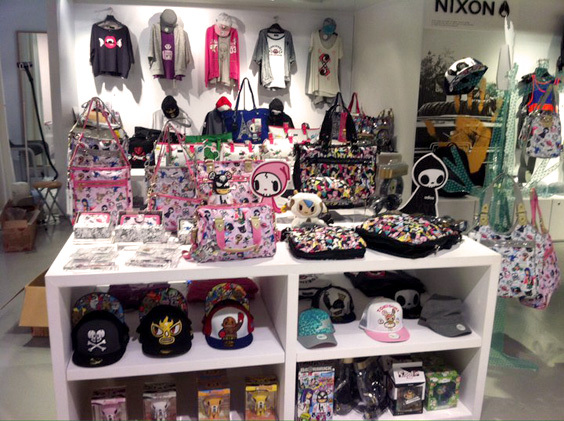 The tokidoki Pop Up Store will opens at K11 Select, exclusively selling tokidoki’s latest apparel and accessories. How can you afford to miss it? Attention! 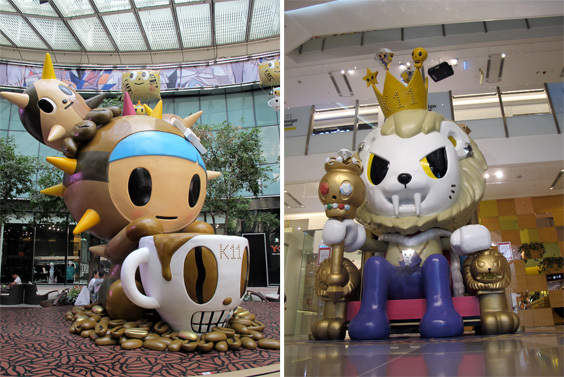 Two 5-Meter-Tall tokidoki x K11 Sculptures Now at K11 Simone Legno has designed two 5-meter-tall gigantic sculpture installations especially for K11, including a crossover figure “Caesar”, which is the sovereign of the Kingdom envisioned by “Art. People. Nature”, that has never been launched, as well as “Kikko”, a sculpture conceptualizing coffee-tasting to accompany the Food Art Festival. Another classic personality Adios will also be present at the exhibition as a thematic installation to promote fine wines. They will be greeting everyone at G/F Atrium, Piazza and B2/F respectively. Masterpiece on Display! Simone’s Unique Artpiece Specially Created for Hong Kong & a 6-Meter-Long Art-Jamming Graffiti Wall Simone is not only a buff for the Japanese culture, but he also admires Hong Kong’s local specialties. He has especially designed a limited-edition original canvas painting featuring Hong Kong, namely "Good Morning Hong Kong", which will be on public display at K11 Stage of the Arts for the first time together with his manuscripts, figurines and a 6-meter-long graffiti-wall. Shoppers may even art-jam with Simone while he’s in town! About A Recipe For Homemade Dreams Exhibition: Date: Now – 30 September (Friday) Time: 12:00nn – 10:00pm Venue: Stage of the Arts, K11 Art Mall B207 Heavily influenced by the Japanese, tokidoki cleverly blends art-creation with product-design together. It has long become an icon in pop culture. Exhibition visitors may learn more about the history and development of tokidoki and its various collaborative projects with other leading brands in the fashion industry. 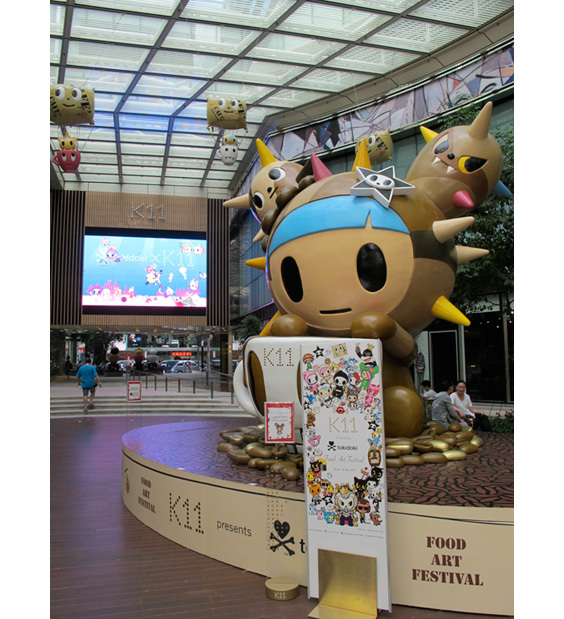 Besides, 18 Showcases will also showcase the tokidoki x K11 Crossover Project, with artworks co-designed by Simone and local artists Florian Ma (Star of K11), Magaret Chu as well as two students from HKICC Lee Shau Kee School of Creativity. About tokidoki Heritage Exhibition: Date: Now – 30 September (Friday) Time: 10:00am – 10:00pm Venue: 18 Showcases, K11 Art Mall Redemption Craze! tokidoki x K11 Worldwide Limited Collectibles in Celebration for Trendy Lifestyle To go hand in hand with the first of its kind “tokidoki x K11 Art Project” in the world, Simone has especially designed some 100% rare and surprising collectibles for K11 shoppers, including iPhone 4 cases, iPad 2 case, tote bag as well as 30” trendy umbrella, all of which are redeemable, while stocks last, from now on until 30 September with purchases of over HK$1,200 at K11. Shopping Spree! Hong Kong’s 1st tokidoki Pop Up Store@ K11 Select To satisfy the shopaholic side of you, tokidoki has opened its first Pop Up Store in Hong Kong at K11 Select, with more than 50 exclusive items on sale, including men’s and ladies’ apparel such as patterned zip-up hoodies, trendy print tops, summer caps, a comprehensive line of handbags and wallets, gorgeous necklaces as well as classic figurines and plush toys. Act now and shop before it’s too late! About tokidoki Pop Up Store Date: From now Time: 11:00am – 10:00pm Venue: K11 Design Store, K11 Art Mall 1/F, L101 Indulgence! Food Art Festival – Challenge Your Senses at Our Summer Activities This summer, apart from the town’s coolest tokidoki K11 exhibition, K11 is also organizing numerous activities and workshops on the theme “coffee and wine” at the Food Art Festival replete with sounds, colors, aroma and flavors. “Creative Kitchen”, “Coffee Fortune-Telling” and “Mini Coffee-Flavored Macaroon Workshop” are but only a few examples of our characterized events, an innovative blend of arts, trend and food for you to embrace a festive and tasteful summer. About K11 – A Concept of Multicultural Living K11 : A Harmonious Blend of Art · People · Nature K11 is the world’s first original brand to pioneer the blend of three essential elements of Art · People · Nature. Beginning with an urban multicultural lifestyle, the brand brings unprecedented and unique five-sense experience to the public through the marvelous integration of multidimensional art appreciation and exchange, recreation and reappearance of local humanity, green architectural space and people’s daily lives and pulses in mall and public space within the unique district of K11. Since its first opening in Hong Kong, K11 has always gained considerable international media attention on the latest moves. Art – K11 not only displays a permanent collection of local young artists’ works, but also allows the public to appreciate different local artworks and performance during shopping and leisure through the provision of various multi-dimensional spaces. This can help enhance the communication and exchanges between local artists and the public, nurture habits of art appreciation, and allow young artists to have more opportunities for showcasing their works so as to foster the development of local art. People – K11 manages, reorganizes and integrates humanity, history and geography of the adjacent regions from various perspectives in different cities. It revitalizes, regenerates and recreates the humanistic experience, art and culture in the regions so as to create a unique K11 multicultural living area. Nature – Various green design and technology concepts are taken into account in the interior architecture of K11 projects so as to minimize the negative impacts on the natural environment and upgrade the overall quality of urban public premises. Designed with a garden concept, K11 features a multidimensional natural landscape with a variety of local plants, green roof, vertical greening and urban farming, and creates a perfect integration of natural space and local culture so that visitors feel like indulging in an urban oasis and are inspired to consider the intimate relationship between human and nature. In the coming five years, the brand and its related multicultural living area will continue the journey of creativity in six cities, including Beijing, Shanghai, Guangzhou, Tianjin, Shenyang and Chengdu, with various types of functional space with a total area of one million sq m. Read more about tokidoki x K11 here.